The 4th of 4 interlinked BIOenergy Blogs, this one covers urban waste and waste output from conversion technologies. The other three related blogs are the BIOstock Blog, the BIOconversion Blog, and the BIOoutput Blog. Related #biowaste tweets @BIOblogger. The Puente Hills Landfill is the largest operating sanitary landfill in the United States (and probably the world). It is scheduled to close in 2013. Now that AB 222 has finally "passed" through the Senate Environmental Quality Committee (SEQ), the question is, does the legislation meet the vision of what has passed through the full Assembly (54-13) and the Senate Utilities Committee (6-1) last year? The answer is a resounding "NO!" The Senators on the SEQ bowed to the traditional recycling industry lobby and gutted the bill to the point that its authors are loathe to recommend it because it will virtually kill investment in any conversion project in the state. This despite the fact that AB 222 was endorsed by more than 100 credible organizations statewide, including the California Energy Commission, the Air Resources Board and CalRecycle. 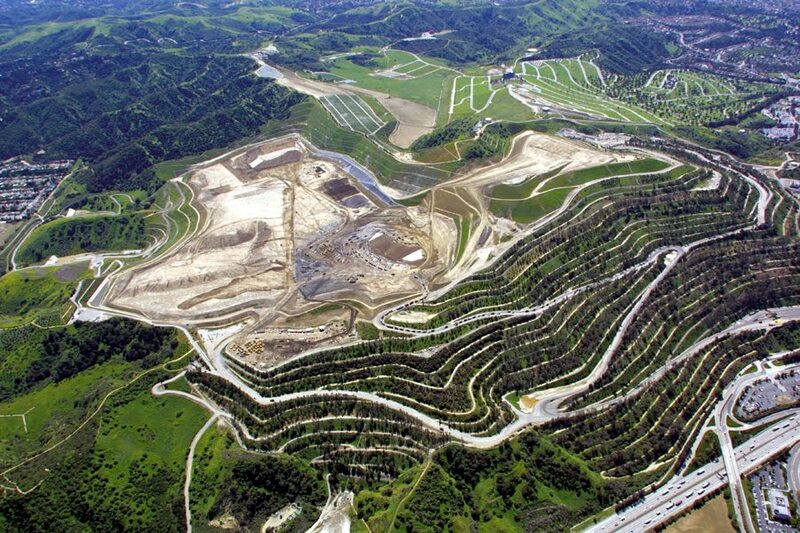 This outcome means more overflowing of current landfills and more local municipalities (including the very environmentally astute Los Angeles County Department of Sanitation/Integrated Waste Management Task Force) with their hands tied as they try to improve systems and reduce the amount of money spent diverting over 40 million tons/year of municipal solid waste from landfills. It also means that hundreds of millions in Federal grants to deploy these projects are going to other states, even though the developers and major investors live and work in California. Here is a snapshot of the current state of AB 222 by its lead promoter, Jim Stewart, Chairman of the Bioenergy Producers Association. The world’s organic waste streams represent one of its most promising and immediately available sources of renewable energy. The United States annually generates more than 1.5 billion tons of organic waste. From this single resource this nation could produce enough advanced biofuels to eliminate its need to import petroleum. Just from the nearly 40 million tons of post-recycled waste that California places in landfills each year, a wide range of 21st Century, non-incineration, non-combustion conversion technologies could sustainably and cleanly produce 1.6 billion gallons of ethanol and 1250 MW of power. These technologies herald a new era in recycling—the recovery of energy from waste and the recycling of carbon. During the past year, the Department of Energy has provided $600 million in direct grants to support a total of $1.3 billion in biorefinery construction. The California Air Resources Board has called for the construction of 24 conversion technology plants by 2020 in order to achieve the goals of AB 32 and the Low Carbon Fuel Standard. Ethanol for organic waste is perhaps the only pathway can absolutely can meet the ARB’s goals for greenhouse gas reduction from automobiles under the LCFS. However, current statute contains scientifically inaccurate definitions and repressive permitting pathways (more rigorous than those required to site a major solid waste landfill) that are driving biobased technology producers and investment capital away from California. AB 222, as passed by the Assembly and approved by the Senate Utility, Energy and Communications Committee, was designed to address these issues. It would have provided a clear and achievable permitting pathway for biorefinery projects. AB 222 would have qualified the waste feedstocks processed by these facilities as landfill reduction (rather than as disposal) and would have enabled the electricity produced from the biogenic portion of solid waste to count as renewable under the state’s Renewable Portfolio Standard (as does landfill gas). The bill was consistent with the Waxman/Markey bill, which would qualify the biogenic portion of municipal solid waste as a feedstock for renewable electricity production under the federal RPS. It was similarly consistent with the EPA’s Renewable Fuel Standard (RFS2), which enabled MSW as a feedstock for advanced biofuels production. However, in late June, the five Democrats on the Senate Environmental Quality Committee, yielding to opposition orchestrated by lobbyists for the traditional recycling industry, stripped AB 222 of its key elements, including the RPS and landfill reduction credits. This despite the fact that AB 222, in the form that passed the Assembly, was endorsed by more than 100 credible organizations statewide, including the California Energy Commission, the Air Resources Board and CalRecycle. Further, it was approved on bi-partisan votes of the Committees that oversee energy issues in both the Assembly (11-0) and Senate (6-1), and by the Assembly itself (54-13). And now, the Environmental Quality Committee has further amended the bill to create even more restrictive pathways for the implementation of conversion technologies in the state. These amendments place all conversion technologies, both high and low temperature, in “transformation”, a category that equates them with incineration, permanently classifying them as disposal and leaving them subject to the Countywide Siting Element. This statutory provision requires that a project proponent obtain the approval of a majority of city councils representing a majority of the population in a County before he can commence the CEQA process. In Los Angeles County, this would require a project proponent to obtain the approval of a minimum of 45 city councils. Under current statute, even if the permitting process were successful, it would be at least four years before a solid waste-to-biofuels/green power facility could even begin construction in California. During that time, the state will landfill 240 million tons of post-recycled solid waste. In 2010, as a nation, we have experienced a massive oil spill in the Gulf--perhaps the most devastating environmental disaster in the nation’s history—we are engaged in two wars in the Middle East, and as a nation we are paying $250 billion annually to import petroleum, a meaningful portion of which is finding its way to organizations whose goals are to destroy this nation’s value system, its economy and its way of life. 300 thermal conversion technologies are operating throughout the world and are meeting all environmental standards of their jurisdictions, and in Europe, these standards are often higher than those of California. All of these facilities create one and the same product—synthesis gas, which can be used to produce pipeline quality natural gas, power, chemicals and other products. More than 100 of these facilities--in Europe, Japan, China and elsewhere--are treating municipal solid waste in the process of producing electricity. And now, these technologies are being introduced across North America to produce biofuels. They are a key element in enabling this nation to meet its mandate for the production of 21 billion gallons of advanced non-food derived biofuels by 2022. For these reasons, one would expect the California legislature, particularly its Environmental Committees, to support major initiatives that could assist in reducing the nation’s dependence on fossil fuels. However, for more than five years, the environmental committees of the California legislature have blocked legislation that would enable the permitting and construction of clean 21st century technologies that could contribute to national security, energy independence, jobs and a better environment for California. President of The Miller DeWulf Corporation in Los Angeles, Scott holds an MBA and is a consultant, blogger, writer, webmaster, and EDP (Electronic Document Professional) who has worked in marketing and communications for numerous engineering, educational, and utility firms. He is President of the Victory Plant initiative and works with biomass feedstock supply, logistics, and conversion technology companies. He is a member of ACORE, 25x'25, SAF, FRA, and SIM. Follow his tweets at @BIOblogger.